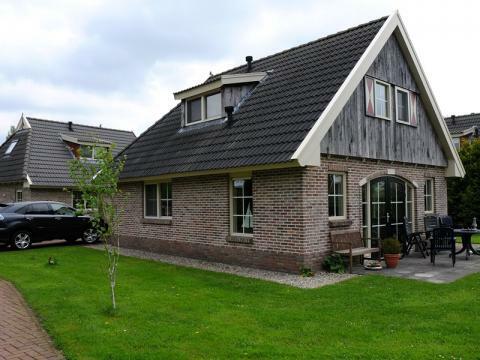 Buitenplaats In den Olden Bongerd in Winterswijk - the best offers! Buitenplaats In den Olden Bongerd is located in Gelderland, near the charming centre of Winterswijk. This holiday park is ideal for nature lovers. A trip to Burger’s Zoo is also possible! This price applies to 6-person cottage Narvik A, with the arrival as 3 May 2019, 3 Nights. This price applies to 4-person cottage Bongerd B, with the arrival as 3 May 2019, 3 Nights. The total booking amount is payable on arrival at the park. In case of cancellation to 23:00 hour 90 days before arrival 15% of the booking will be charged. In case of cancellation from 23:00 hour 89 days before arrival 50% of the booking will be charged. In case of cancellation from 23:00 hour 60 days before arrival 75% of the booking will be charged. In case of cancellation from 23:00 hour 31 days before arrival 90% of the booking will be charged. Buitenplaats In den Olden Bongerd is located in Gelderland, near the charming centre of Winterswijk. This holiday park is ideal for nature lovers. Trips to Movie Park and Burger’s Zoo are also possible! At Buitenplaats In den Olden Bongerd, WiFi is free for the duration of your stay. Why not rent a bicycle from this holiday park and discover the stunning suttoundings? Are the children joining you on holiday? They will have a great time at the playground. 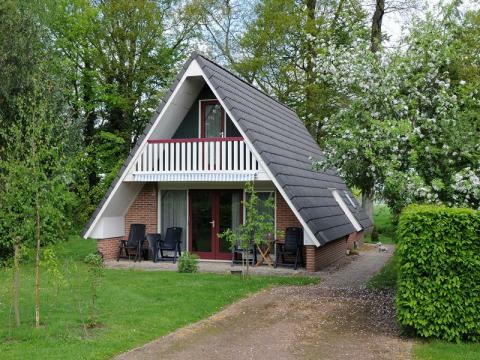 Buitenplaats In den Olden Bongerd is the ideal base from which to make great day trips. If you fancy a swim, you can to go the indoor or outdoor pool in Winterswijk. Approximately 4km from the holiday park, there is a 9-hole golf course. The kids will have a great day at Movie Park Germany, a huge theme park, or go shopping in Oberhausen. Oberhausen houses one of the largest indoor shopping and leisure centres in Europe. Of course there is also Burgers' Zoo in Arnhem and the children's playground Binnenpret Lievelde guarantees a fun day out. This park charges a deposit of €100 per accommodation (direct debit). Young people beneath 18 years old are not allowed to stay at the park. Groups of different ages only on request, the park will take the request in consideration.